I’m Blaire Palmer and I’m going to help you quit your job. Are you thinking of quitting the rat race, doing something you LOVE for a living and creating more balance in your life? Download my FREE Escape the Rat Race Checklist! Ready to leave your corporate job and start your own business that incorporates your passions and utilises your skills? Starting a new venture when you’ve been an employee most of your adult life can be daunting. There’s so much to do. If you forget something important it could be disastrous. This FREE Escape the Rat Race Checklist covers every aspect of making the transition from working for someone else to doing something you love for a living outside of the conventional 9-5. Ready to quit your job? Start here! At some point you’re going to leave corporate life. But how do you manage the transition and have an exit plan? Not everyone wants to hand in their notice with NO PLAN and no idea how to make money doing what they love until they are sitting in their living room staring at a blank screen on their computer. This video series outlines 12 transition strategies – ways to ease yourself out of your current job into doing what you love full time. The team are currently hard at work with our friends at Buckets.co, creating the new Escape the Rat Race Transition Planner. Knowing what you want to do and actually doing it aren’t always the same thing…sometimes we can be our own worst enemy. Our beliefs and assumptions, that little inner voice in our mind can get in our way to not see our plans through to the end. 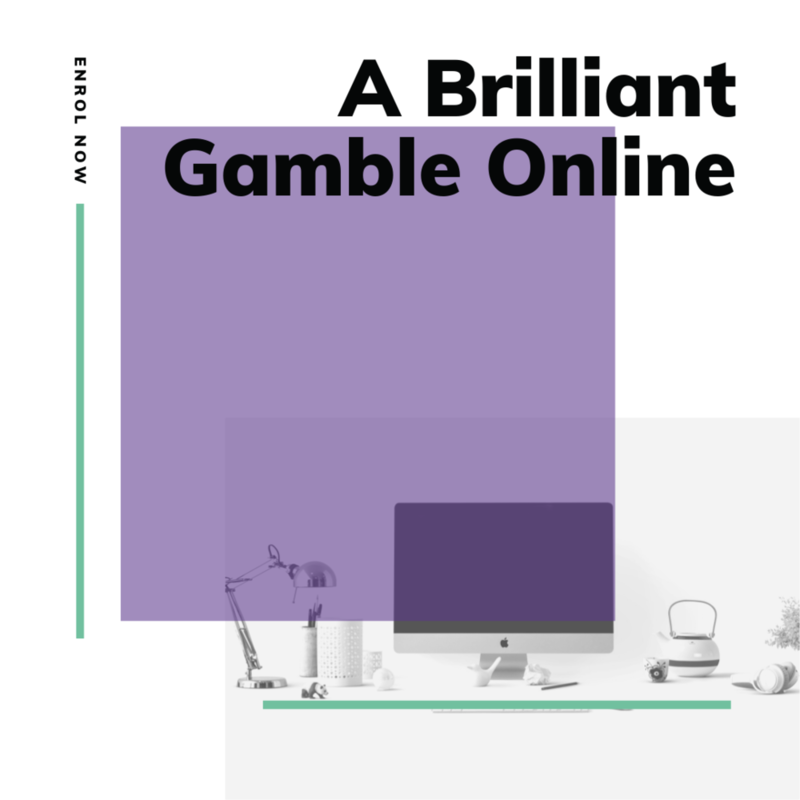 This course made up of 13 video tutorials is designed to give you the tools you need to GET OUT OF YOUR WAY, clarify your route to freedom, identify the barriers you need to overcome, learn the habits that help you enjoy the journey of change and much, much more! 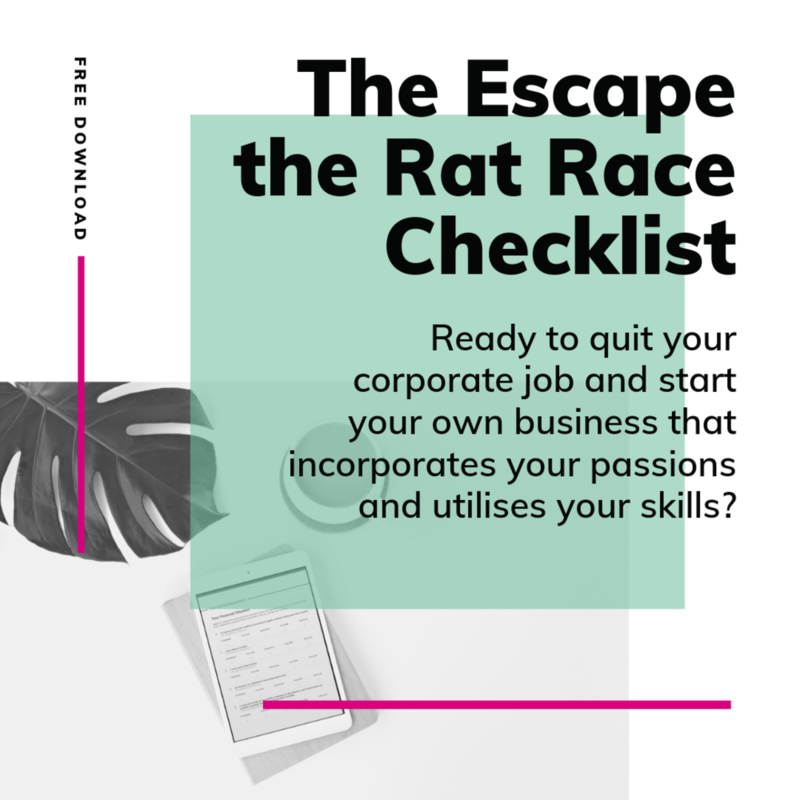 My Escape the Rat Race Checklist covers every aspect of making the transition from working for someone else to doing something you love for a living outside of the conventional 9-5. Before you make the leap and quit your job, you’re going to want to find a tribe of likeminded individuals! Join us on Facebook where we share tips, support, advice, experiences and resources. This group is perfect for you if you would love to get off the hamster wheel and do something you love for a living or if you’re at a professional crossroads OR you’ve already taken the leap and want people around who GET IT! Join me every week as my amazing guests share their honest and inspirational real life experiences! In each episode, you’ll hear inspiring interviews with entrepreneurs, creatives, leaders and others embracing new ways of working to design a life they love. What’s stopping you leaving your corporate job? There are two types of obstacle to doing anything new in life - Practical Obstacles and Emotional/Mindset Obstacles. The practical obstacles are the ones we tend to focus on and then there are the Emotional or Mindset Obstacles. These will be beliefs or ‘truths’, often things we say to ourselves privately, about ourselves or about the world. It’s very gratifying knowing that people need you. But it’s also a pain. Whether it’s your children, your parents, your partner, your friends, your colleagues, your community or, goodness help you, all of the above who turn to you when they need assistance, it’s tough to find time to go to the toilet, let alone plan your exit from corporate life and design a future where you love what you do! The bottom line is that, if you want to bring balance to your life, you have some choices to make, and not all of those are going to be comfortable. Many of us dream of walking away from our 9-5 corporate job and doing something else, anything else, for a living. I used to envy the ladies on the supermarket checkout when I had a tough, stressful, unfulfilling job at the BBC. It’s never too late! But if you’re serious about finding ways to escape the rat race, you’re going to need a plan.